High up at 2000m (7000ft) in India’s Himalayan region, Darjeeling is a pretty chilly place at the best of times. During our stay in December 2011, we wrapped up and headed out to ride the famous Darjeeling Toy Train. 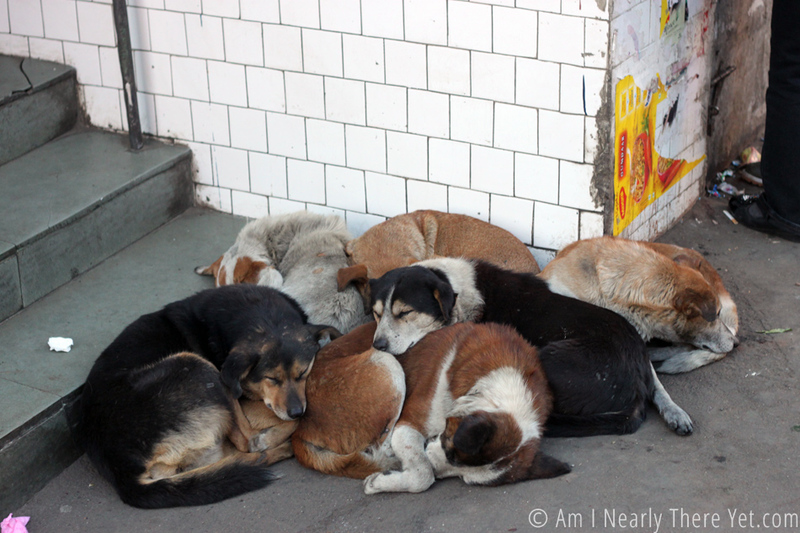 On our way we saw this pack of dogs curled up doing their best to keep warm!